Well-being course description: Join fellow class-mates, be part of our eCourse, which creates a safe, inspiring environment to facilitate your growth and become happier in 2011. 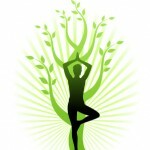 Happier11, our Well-being course/Happiness course for 2011, provides you strategies and tools to live happier. Happiness is more about attitudes and choices, than external factors. After exploring the AmAre framework, we learn more about scientific research – both in natural and social sciences – in the field of well-being, and how to apply it to daily life. Happier11 is about cultivating happiness, together, to live happier lives, to benefit all. Expand your awareness, make and successfully keep your commitments! Get slimmer, cultivate better eating habits, learn a new language, etc. These goals have their own specific rewards and challenges, still there are deep commonalities in the mindsets which start change. Explore them with Happier11! 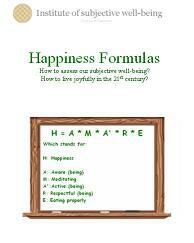 Please read our Well-being course/Happiness course syllabus for more details about goals, topics, etc. 2.What is the importance of AmAre? Which stands for “being” aware and accepting, meaningful and motivated, active and attentive, resilient and respectful. Plus eating properly and exercising. 3.How do you apply the course material to live a happier 2011? 4.How do you apply the course material to taking, and keeping, resolutions and commitments? Thanks to everyone who is taking this course! Your interaction with fellow students and with the facilitator/lecturers is what really makes a difference in the learning, and especially application, process! Thanks to everyone who is helping in creating awareness about this course! Your help is making a difference in reaching people who want to join us! If you want to start making a tangible change in your life, please consider sharing your time with the person who are meaningful to you. Remember relationships are a great facilitator for living happily. Also, please consider sharing your time and, if possible, financial resources with social causes you support.